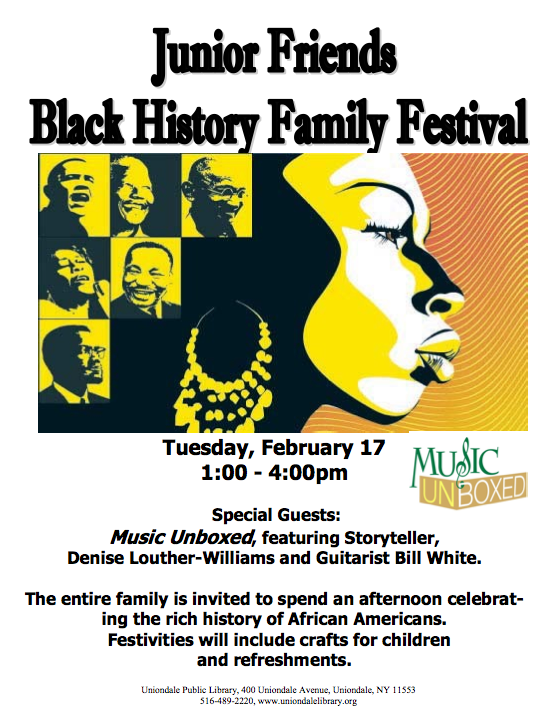 On February 17, 2015 at 1pm Music Unboxed in partnership with the Uniondale Public Library will present the “Junior Friends Black History Family Festival” featuring the stories and sounds of Storyteller, Denise Louther-Williams with the jazz musicians of The Bill White Quartet. The entire family is invited to this free public event to spend an afternoon celebrating the rich history of African Americans. Festivities will include crafts for children and refreshments.